Come in and enjoy the highest rates wine selection in St. Thomas and try our selection of amazing craft beer. PHONE 519-207-RAIL (7245) to place your order. 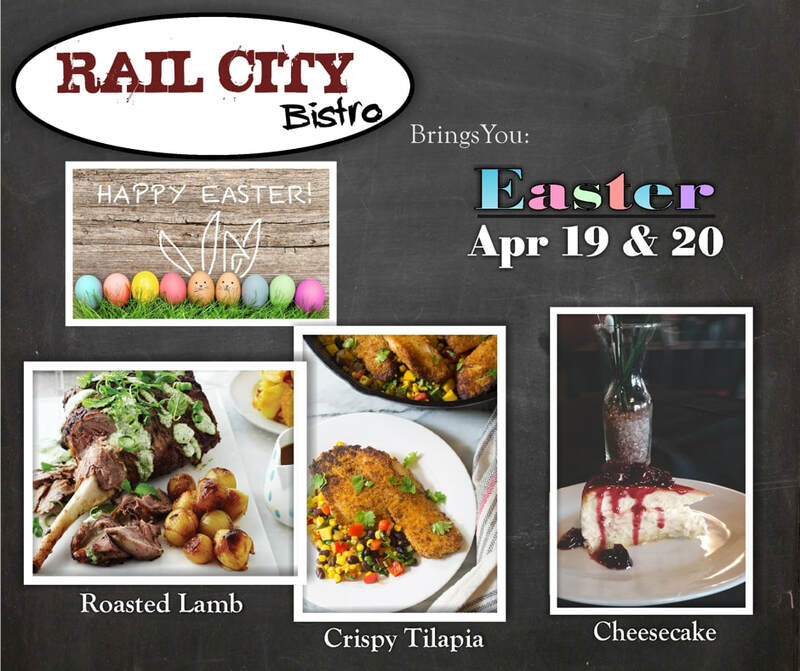 Opened in June of 2016, Rail City Bistro is a restaurant that prides itself on offering St. Thomas fresh, homemade cuisine featuring regions around the world, while sourcing as many local ingredients as possible. Every weekend we invite customers to “travel” with us to sample dishes inspired by these locations, while still offering our fantastic menu. Our extremely high standards produce amazing scratch made sauces, dressings and dishes guaranteed to leave you wanting to come back for more. It’s time to try something new and exciting.